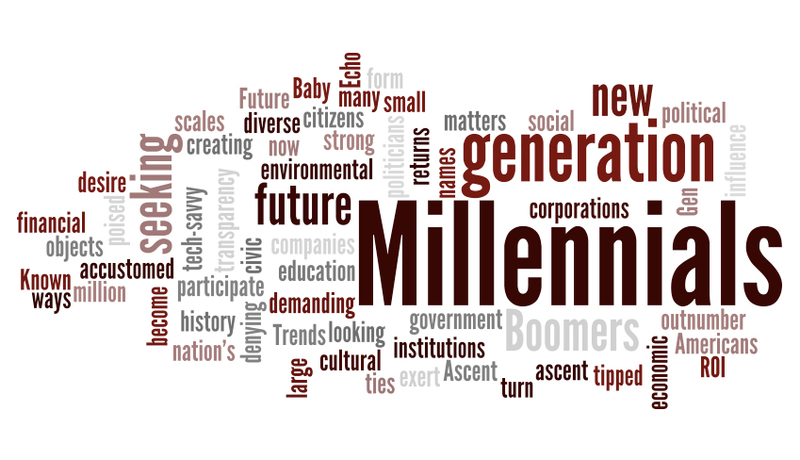 A millennial is defined as anyone born between 1981 and 1997. Time magazine described millennials as “technology-addled narcissists.” Yet the truth of the matter is that millennials are taking over and are soon expected to surpass baby boomers in buying power. Their buying power is massive with more than $1.3 trillion in annual spend. That number continues to grow. So as marketers we need to adapt to how we message the tech-savvy generation. Below are a few tips to keep in mind when messaging to millennials. Mobile, mobile mobile. According to entrepreneur.com, 85% of U.S. millennials own a smartphone. It is extremely important to hit these users when they are engaged and to make all marketing messages mobile-friendly. Personalization is key. Millennials want to feel like your content was created with their interest (not their wallet) in mind. Create content that educates instead of advertises, this makes them feel like they are making smart purchases. Advertise where they are most. Social advertisements are the new way to engage millennial social media users. Traditional online banner ads are mostly ignored by social media users and are only clicked on 0.2 percent of the time they are seen. Social ads are smaller and more suited for smartphones than traditional banner ads and are more preferred by Generation Y (birth years ranging from the early 1980s to the early 2000s). Build your brand on social media. On a day-to-day basis, millennials rely on social media for their news and updates. Social media outlets are by far the dominant way millennials learn about things online. Search engines are ranked near the top but fall below Facebook and Twitter for brand discovery. Hopefully these tips will help you generate new ideas and strategies which your brand can initiate to engage with the millennial generation. As I was driving to work this morning, I was listening to Mojo Nixon guest DJ on E Street Radio, the Bruce Springsteen channel on Sirius/XM. As Nixon was describing his motivation for including the songs he was playing in his mix, he explained how Springsteen’s first few albums (“Greetings from Asbury Park, N.J.,” “The Wild, the Innocent, & the E Street Shuffle,” and “Born to Run”) did an amazing job of speaking to the people of New Jersey and New York. The songs were mini-stories about characters from that specific region and/or gave the listener a clear understanding of what it was like growing up in that area at that time. I would expand Nixon’s geography to also include people in Eastern Pennsylvania, as many of us who grew up here spent many summer days and nights “down the shore” and can easily identify with Springsteen’s lyrics from these early albums. Listening to “Spirits in the Night,” “4th of July, Asbury Park,” “Thunder Road,” or “Jungleland” definitely makes me feel like Springsteen was talking to me. Interestingly, while Nixon (a North Carolinian) appreciated those early records, it was Springsteen’s fourth record, “Darkness on the Edge of Town,” that made him feel a strong connection to the Boss’ lyrics. His rationale was that on “Darkness,” Bruce was no longer singing stories about where he grew up. The songs now were broader in scope and told tales of characters Springsteen met or conjured up after touring and having the opportunity to see the world outside of Asbury Park, New York, and Philly. 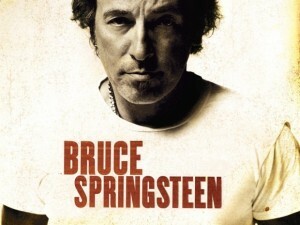 I would venture to suggest that Springsteen’s next two albums, “The River” and “Nebraska,” each expanded Springsteen’s ring of fans and popularity so that by the time “Born in the USA” was released in 1984, there were literally millions of people poised and ready to receive that album and help make it the incredible commercial success that it was. Without question, the quality of the songs on “Born in the USA” played a large part in its success, as did Springsteen’s legendary live shows and relentless touring schedule. Yet I submit that the foundation that was established by Springsteen’s earlier work was equally important to how well “Born in the USA” did on the charts and commercially. For Springsteen, his earlier albums set a strong foundation that paved the way for his critically acclaimed album “Born to Run” and his commercially huge “Born in the USA.” Further, the songs and stories shared on each of his albums became more geographically expansive with each release. In essence, he worked “core-out” lyrically, speaking first to the people in New Jersey, New York, and Eastern Pennsylvania, and then building out from there until he became the global icon that he is today. DeeterUSA cannot promise your brand or company the same success that Bruce Springsteen has realized, yet our experience with core out marketing has repeatedly resulted in outcomes that exceeded both ours and our client’s expectations! 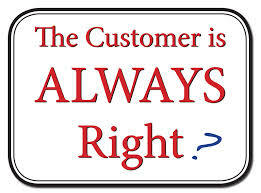 We in business have all heard the comment ”The customer is always right.” I’m here to tell you that is not really true. The better way to think about it is that the customer paying for your product or service has the last word … right or wrong! For nearly 20 years I was the “customer” or “client” and I prided myself on being open-minded, acknowledging, when and where appropriate, that I did not have the answer to every question and/or problem. I even admitted that I made mistakes. It was sometimes painful yet always necessary. My goal on making mistakes has always been to bat better than 500. When I do that, I am a winner. As I have gotten a little older, I also have come to realize there are very few things in life that are completely “black or white.” When you are living your life to the fullest, business or professional, you learn very quickly that many shades of gray replace pure “black and white.” What I have also found is that the better quality managers and business leaders have the self-confidence and maturity to readily admit that life is full of gray areas and they don’t have all the answers. And the true industry icons I know are never shy about admitting that they make mistakes. What makes these people so unique in my mind is that not only are they willing to admit to their mistakes, they are equally quick to compliment those who correct them. These icons want what is best for their company and it stops right there. Being right is nice, but having a successful business is much more rewarding. 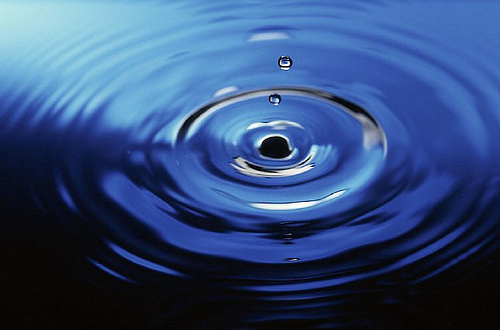 We at DeeterUSA have always subscribed to a “core out” management philosophy. It is like dropping a pebble in a pond. When you do that, you create rings. We see each of those rings as an important “target audience” we need to reach. The closer to the center, the smaller the ring, and as you move outward, the rings get bigger and bigger. So for us, our employees are the closest to our center. They need to be communicated with first and most frequently if we hope that they both receive and understand our messages – whether they are rules and regulations or theories and philosophies. For us at DeeterUSA we see employees as family members and ambassadors. They can only do their best if we provide good direction and counsel. And so it goes. From employees we move to suppliers and business partners. From those two groups, we move to other groups with customers and potential customers, as well as the general public somewhere on our continuum. Interestingly, the way we counsel our clients on marketing their goods and services mirrors our pebble in the pond model. The challenge is to prioritize each target audience and enlist them as ambassadors who can help you reach and impact the next target on the list. The bottom line is that both internal and external communications are keys to success in any marketplace today. That said, we have found that working from your core is the fastest, most economical way to meet and/or exceed your business objectives. The best cheerleaders your company has are standing all around you.